Newsom said he wanted a “dramatic shift” from reactive policies used to deal with those without shelter who often suffer from addiction, mental illness or both. He promised that the aggressive transients seen in downtown areas harassing storekeepers, residents and tourists would get indoor housing; that the newly homeless would have access to immediate help to prevent them from going on downward spirals; and, perhaps most remarkably, that emergency homeless shelters eventually would have to close because they would have no transients left to serve. Fourteen years later, Newsom’s promises seem like fantasies – or cruel jokes – in a city where the quality of life and the tourism industry feel under siege from 7,500 or more homeless people. Despite spending more than $2 billion on the problem since 2004 – vastly more than big cities with similar homeless issues – San Francisco officials sometimes convey the sense of feeling overwhelmed. The notion that the problem is out of control is frequently illustrated by visiting journalists who make parts of the city seem like obstacle courses covered by feces, used needles and surly, erratic individuals ready to intimidate passers-by into giving them money. Yet San Francisco’s problem is actually in some ways both better and worse than in similar cities. Despite a brutal housing crisis that makes paying rent difficult even for those making $100,000 or more, the total number of homeless has been flat in recent years, unlike other large California cities. San Francisco has also managed to avoid the emergence of mass encampments of transients seen in neighboring Oakland and elsewhere in urban areas. So what is driving the perception that the homeless problem is worse than ever in the city? 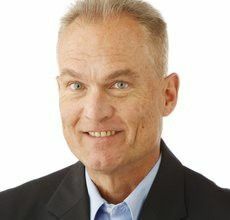 An article in the June 1 issue of The Economist made the case that San Francisco had an intense concentration of the most disturbed, disruptive homeless – individuals who generally make up a relative handful of the homeless in much of Southern California. “[The] rates of mental illness and addiction among the homeless have increased. Use of more potent mind-bending drugs, like fentanyl and methamphetamine, has risen, too. Nearly 70 percent of psychiatric emergency-room visits by the homeless are the result of methamphetamine-induced psychosis,” The Economist wrote. This psychosis may be driving a public health crisis spurred by open defecation in the streets. Complaints about human feces in the city nearly tripled from 2009 to 2017, reaching 21,000 last year. Tourists are noticing. 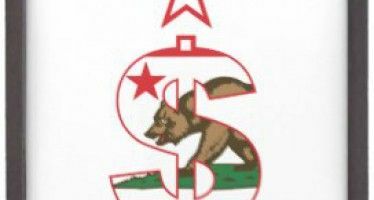 On July 2, the city’s convention and visitor bureau announced that it had lost one of its biggest accounts – an unnamed medical group which had a long tradition of regularly bringing 15,000 free-spending conventioneers to the Bay Area. Given tourism – not tech – remains San Francisco’s biggest industry, city officials were alarmed. Long before that announcement, London Breed – the Willie Brown protege who took over as mayor on July 11 – said reducing homelessness’ impact on the city was her top priority. So far a key focus has been on giving the city new authority to use conservatorship laws to allow interventions into the lives of the most troubled individuals. As for Newsom, the lieutenant governor is now the heavy favorite to succeed Gov. Jerry Brown. Undaunted by what’s happened in San Francisco since his 2004 pledge, he’s touting the most aggressive efforts yet by the state government to reduce homelessness. I’m savoring every whiny, socialist complaint. If I ever get depressed I will simply re-read this story. Zippity Doo Da zippity ay. My oh my what a wonderful day!!!! Until such time as we, the people and our elected officials, commit to rebuilding state mental care facilities, building addiction treatment units, building more correctional facilities, building temporary housing for the extreme poor and enforcing the rule of law as it applies to those so affected, it is highly likely the homeless situation and criminal activity across the board will only get worse in our fair state. Gavin Newsom V2…a replay of V1. “I’m willing to take risks. I’m not here to be loved.” Kinda like his original mantra when mayor of SF. This statement was offered to assist in his elevation to the governor’s seat in Sacramento. 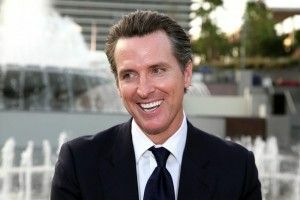 There is nothing he will be able to accomplish when (if) he is Governor Newsom. On day ONE, Newsom will set forth a new decade long plan to clear the streets by demanding the state legislature increase taxes as soon as possible. Once this exercise is done, Newsom’s work is complete. Well, if he wants to get deeply involved at a granular level he could always shovel sh*t in the city he ran (into the ground). When this clown becomes governor we will all be in deep sh*t.